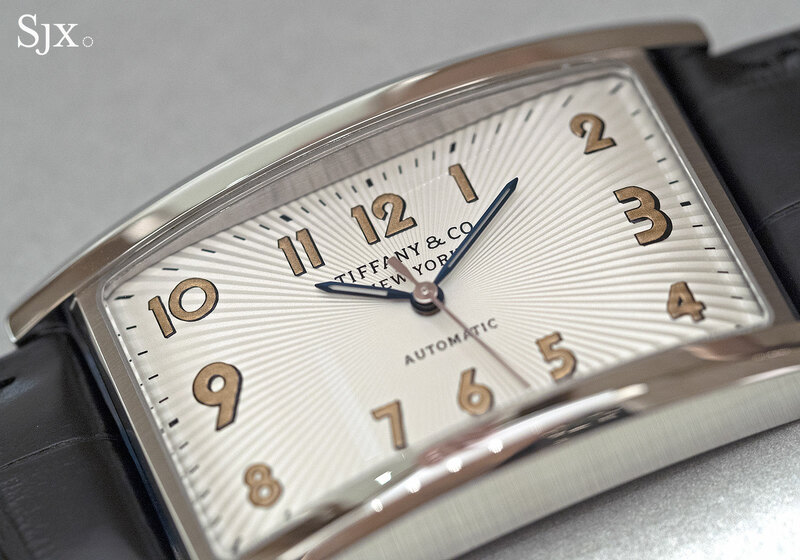 Last year Tiffany & Co. unveiled the East West, an appealing wristwatch modelled on Art Deco timepieces of the 1920s. But alas it was quartz and sized only for ladies (and also shamelessly offered in Tiffany’s robin egg blue). 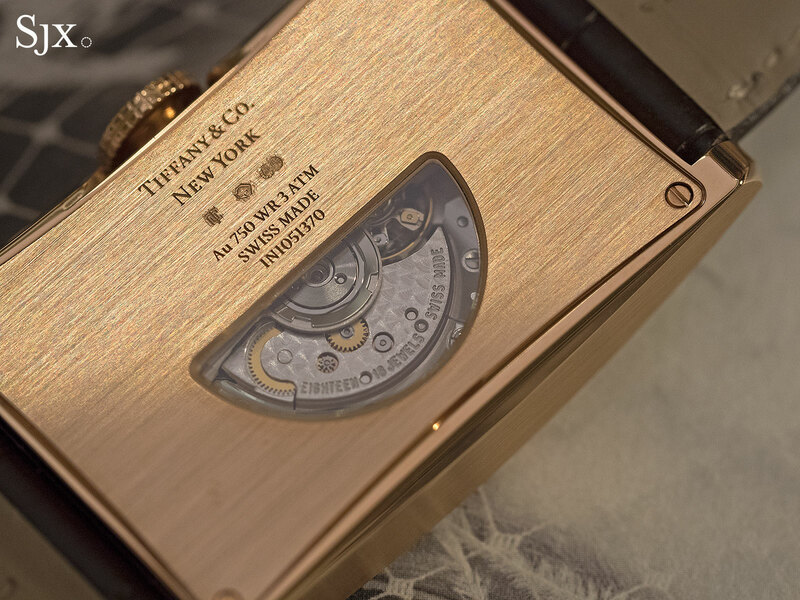 The New York jeweller has just taken the obvious next step and unveiled the East West in a larger size, with a mechanical movement. The East West Automatic has the same look as the smaller original, with the dial sporting large Arabic and pencil hands. 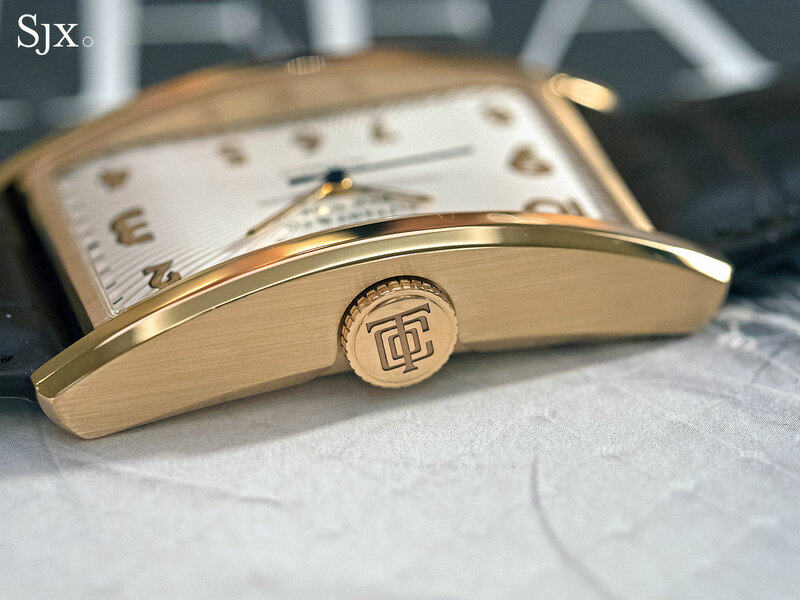 The dial retains its unusual 90 degree tilt, a feature similar to vintage driver’s watches that were designed to be legible the time while the wearer was gripping a steering wheel. 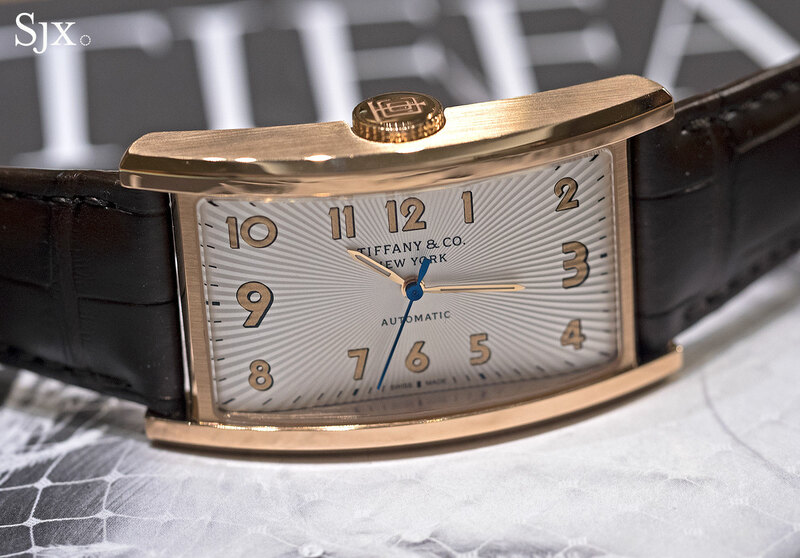 As is typical for Tiffany’s latest watches, the numerals on the dial are printed with ink mixed with gold or silver powder, giving the numerals a texture surface that is reminiscent of aged radium on vintage watch dials. And unlike the smaller model which has a smooth, satin-finished dial, the automatic has a stamped, radial guilloche that makes it look a bit more contemporary. 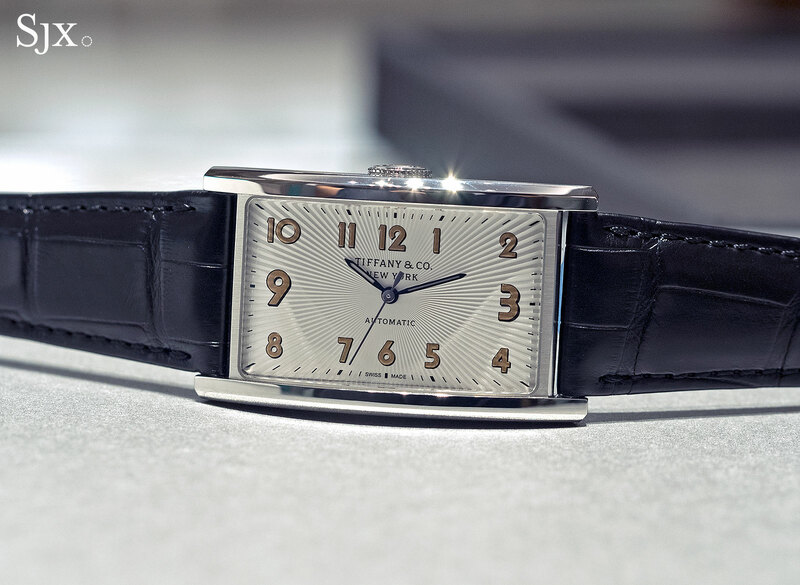 The presence of a seconds hand actually gives the watch a distinctly modern feel; vintage watches of the 1920s with a similar look lacked seconds hands. 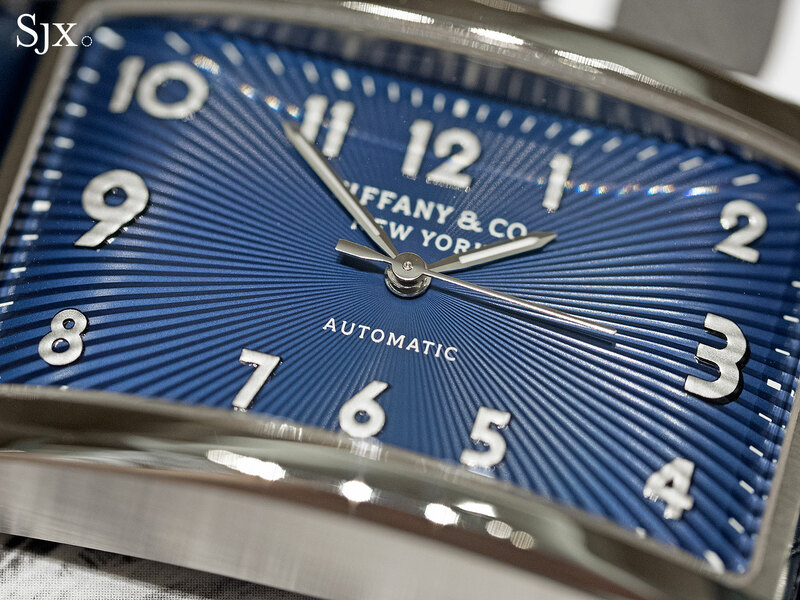 In fact, removing the seconds hand might make the watch more appealing to traditionalists. 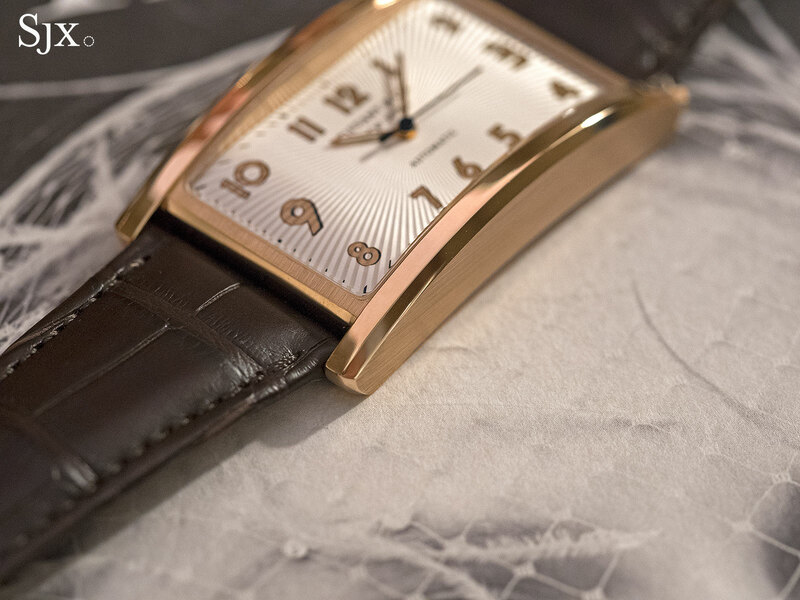 The case is large, measuring 27.5mm wide and 46.5mm long, giving it dimensions comparable to the oversized rectangular watches synonymous by Roger Dubuis and Franck Muller. Finished with alternating brushed and polished surfaces, the case has a curved profile with a recessed crown, giving it an elegant form despite the size. 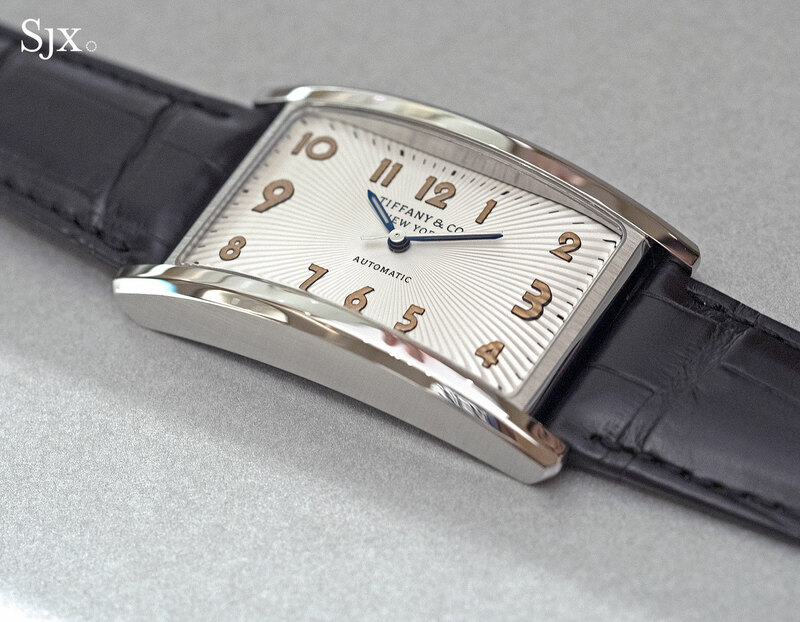 A semicircular porthole on the back reveals half the movement, which is a basic but robust Sellita automatic. 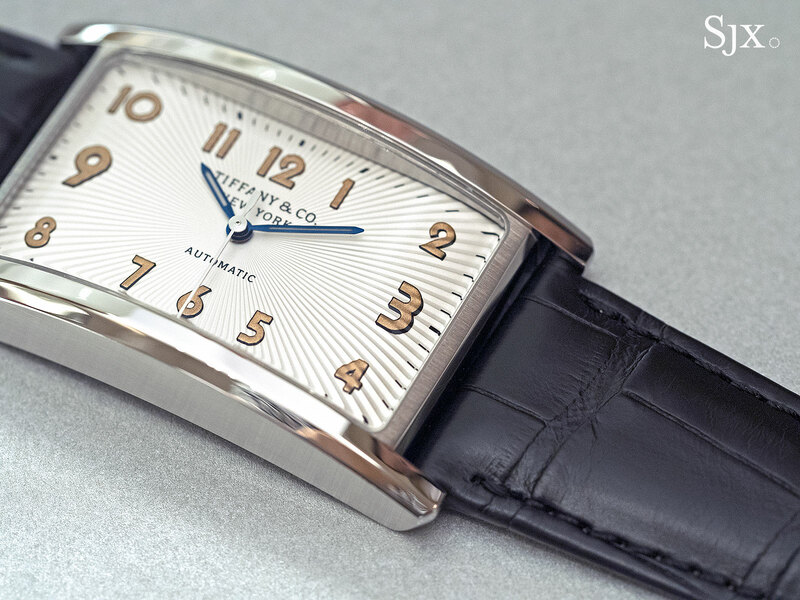 Unlike most other Sellita movements that are replicas of ETA movements with expired patents, the Sellita SW1000 inside the East West Automatic is an original design. 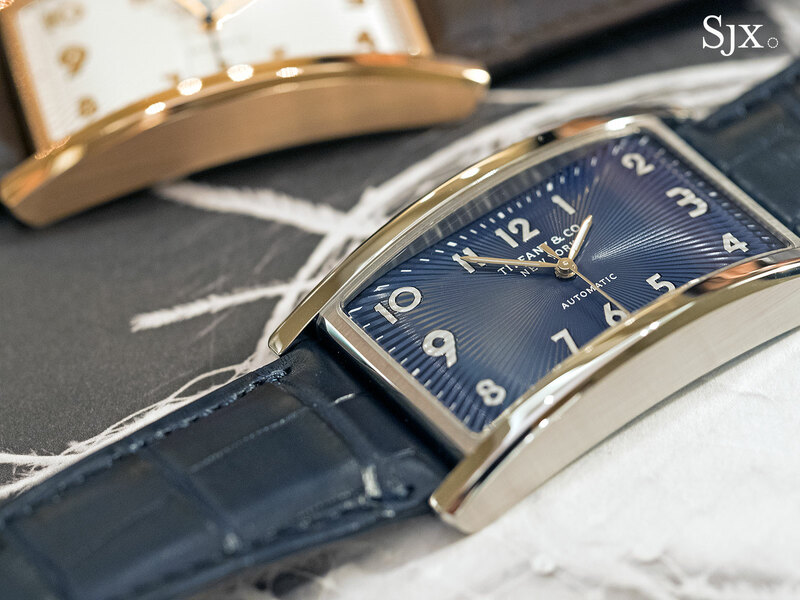 A small, 20mm movement, the SW1000 is a self-winding calibre with a 40 hour power reserve, conceived mainly for ladies watches (but used here since rectangular watches can only accommodate smaller movements). The East West Automatic is available in three guises for now. 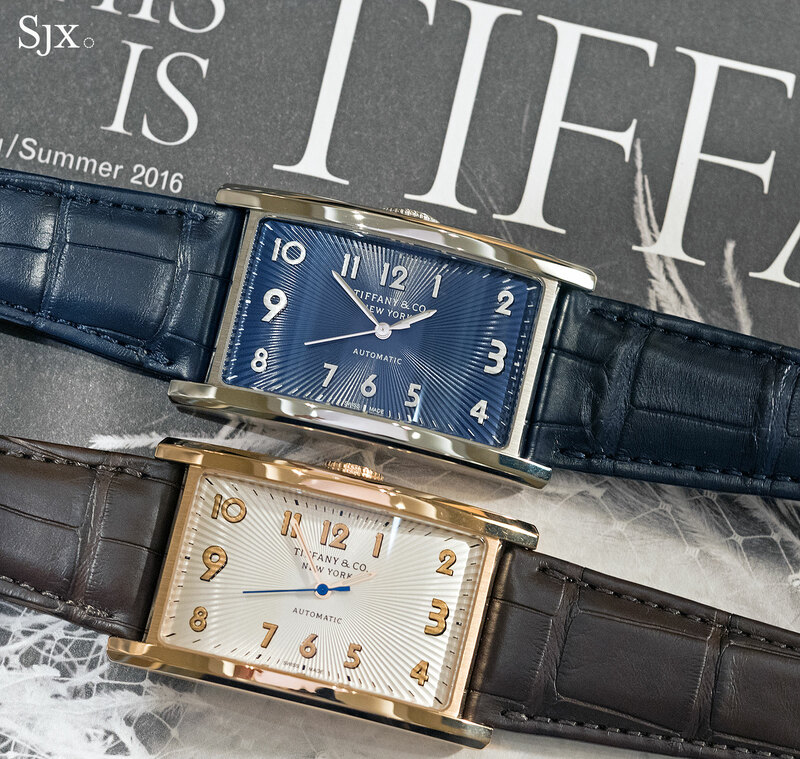 In stainless steel there is the option of a silver or blue dial, while the rose gold version is only available with a silver dial. The best looking is undoubtedly the rose gold, but it’s hard to swallow the price. 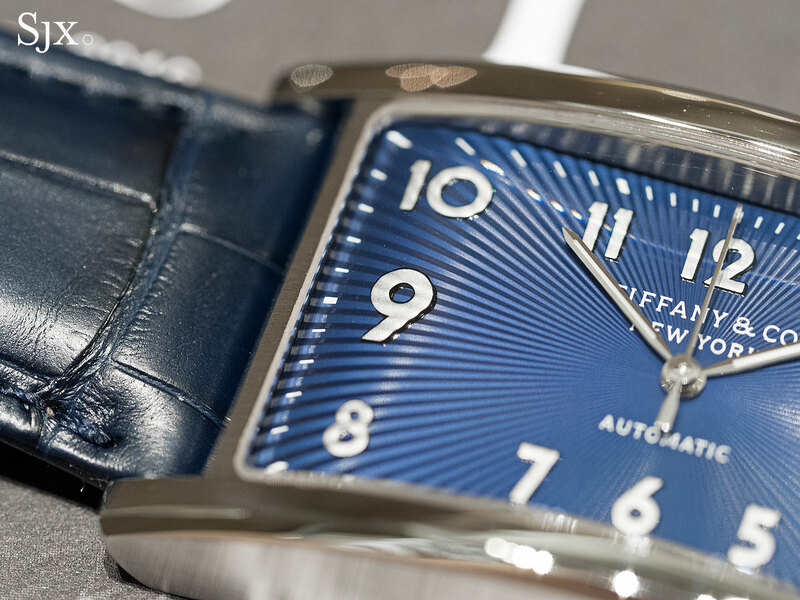 In steel the silver dial is handsome and suited to the vintage look, though the silver-tone seconds hand looks out of place relative to the blued steel hands. The East West Automatic is US$4750 or S$6950 in stainless steel. 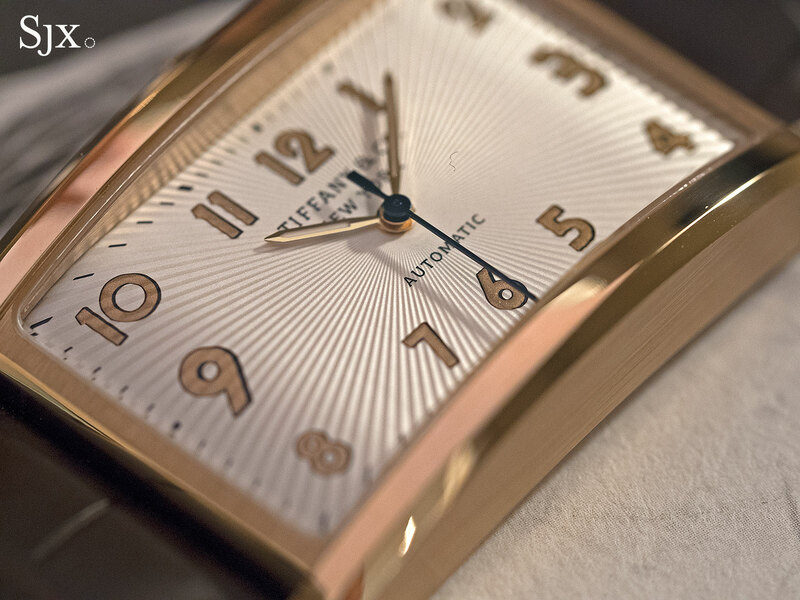 And in rose gold it is US$12,000 or S$17,500. They are available at Tiffany & Co. stores world wide.